The use of biophysical techniques in drug discovery is rapidly increasing, and many pharmaceutical companies have set up in-house biophysical platforms to speed up the target-to-candidate process and improve the quality of small-molecule therapeutics through a better understanding of their interactions with their targets. However, biophysics for drug discovery had not yet been the subject of a dedicated conference: most of the time, it is the topic of a specialised session within drug discovery conferences, and on the other hand biophysical meetings are often very academy-oriented and rarely extend their scope to drug discovery aspects. Aiming at filling this gap, the first NovAliX Conference 'Biophysics in Drug Discovery', which was held in October 2013 in Strasbourg, France, was a real success, attracting more than 160 people from 20 countries. Bringing together the medchem and biophysics communities, the conference, with a 2/1 ratio of participants from industry / academia, was a dense and rich event with lively discussions after presentations, around the posters and during the round table. 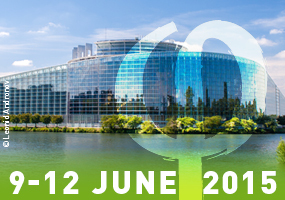 The Scientific Programme will be completed by a large Poster Session, a Commercial Exhibition as well as an interesting Social Programme around Strasbourg, a city of culture, home of the European Parliament and a UNESCO landmark.